These closed cell foam puncture proof wheels have now been an integral part of our industry leading Pure Freedom Trolleys for several years. 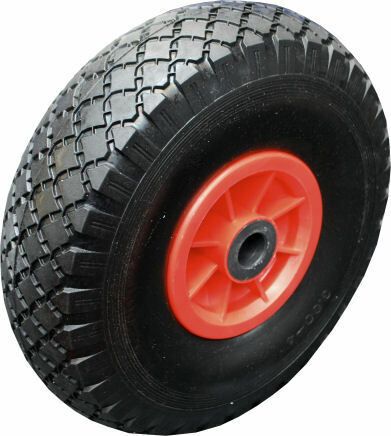 Having been designed to accurately replicate pneumatic tyres in terms of weight and hardness these wheels are directly interchangeable with their ‘traditional’ counter parts. Includes wheel hub, bearings and puncture proof tyre. As used on all Pure Freedom Trolleys.